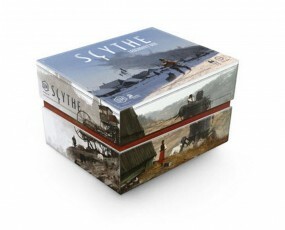 Produktinformationen "Scythe - Legendary Box"
While the Legendary Box does not include any game components, it contains 3 large tuckboxes to fill unused space (and, optionally, store tokens, cards, and other loose pieces). The latest printing also includes structural supports. Weiterführende Links zu "Scythe - Legendary Box"
Kundenbewertungen für "Scythe - Legendary Box"